Today might be known as Giving Tuesday, but Volkswagen of America has been in a giving mood all month. 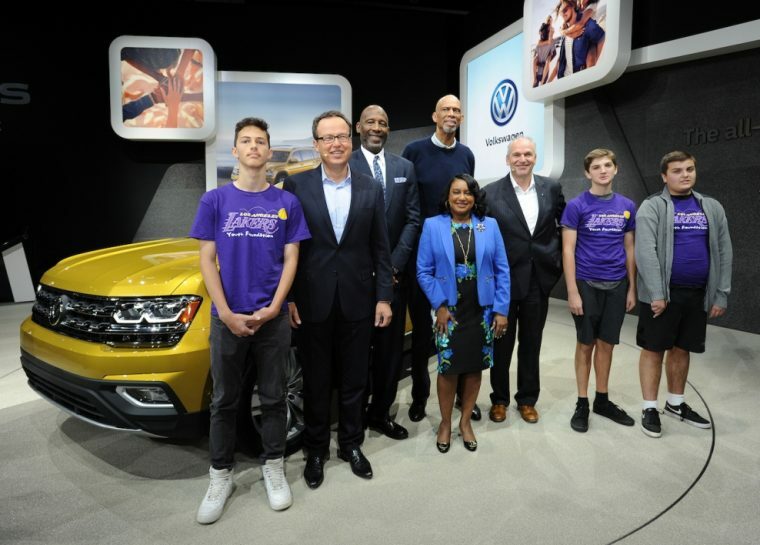 It was announced earlier in November that the American division of the German brand would be donating $30,000 to the Los Angeles Lakers Youth Foundation, the official charity of the NBA team. The non-profit organization works to restore neighborhood basketball courts around the city to give youngsters a safe place to play basketball. Besides honing their skills, kids can use the court as a place to meet their friends and play other sports as well. Besides basketball courts, the Los Angeles Lakers Youth Foundation also offers a variety of services concerning other sports, heath, wellness, and education. The Volkswagen donation can be allocated for any of these causes and the charity’s operations. Besides this donation, Volkswagen has a long history of philanthropy in the United States. According to its group site, more than a quarter of VW employees volunteer time to help others in need. Employees also donate blood and contribute to charities using a corporate dollar-for-dollar donation matching scheme. We’ll see if VW makes any other large donations as the year draws to a close and Christmas comes closer.